Liberty General Insurance is a joint venture between Enam Securities, Liberty Citystate holdings PTE Ltd, DP Jindal Group and Liberty Mutual Insurance Group. The firm commenced its operations in India in 2013. Inform the insurer as soon as the mishap happens and register your claim. To register your claim, call the customer care on 1800-266-5844 or log in to the official website. A customer care representative will get in touch with you to process your claim. An authorised surveyor will be sent to conduct an incident survey. After the incident survey is done, drive or get your vehicle towed to the nearest garage and submit the below-listed documents to the surveyor for verification. Should I inform the insurer if I fit a CNG/LPG kit in my car? Yes, you should inform the insurer as well as your RTO when you install a CNG/LPG kit in your car. A voluntary deductible is a part of the insured amount that you agree to pay at the time of your claim settlement. Does my geographical location have an impact on your insurance premium? Yes, your geographical location has an impact on your car insurance premium. How do you incorporate changes in your car insurance policy? You can incorporate changes in your car insurance policy by submitting a letter of endorsement along with supporting evidence. 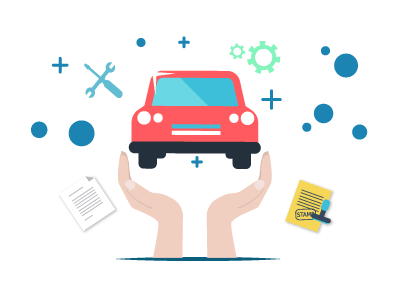 What is the tenure of my car insurance policy? The policy tenure of my car insurance is 12 months.